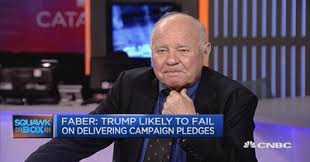 Faber also revealed that he did not expect to see Turkish lira stocks rise, simultaneously urging people not to expect an increase in Turkish lira-based stock quantity at the current stage. "The money central banks printed went to the U.S. stocks, bonds, dollar and real estate. I expect this situation to turn around," Faber said.